Please send me more information about secure car keys/remotes. 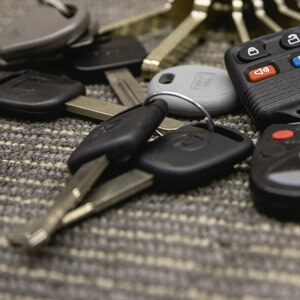 Automotive keys are a mystery to most people. Not for the people that work at Bomac’s. We can help you make copies of old domestic car keys and old import car keys, all the way up to modern smart chip keys with high security cuts and high security encryptions. Whether you refer to your key as; laser cut, smart chip, transponder equipped, high security, two track, four track, proximity, or sidewinder, we can help you make copies. We can even build keys for you when all original keys have been lost. Come to our store to ask your automotive key questions in person or just fill out our quote form with a few specifics and we can email you a quote.